I left academia for the so-called real world in the late 90s because nothing seemed more exciting than the tech industry, which, at the time, was turning the world upside-down with a continual torrent of innovation. In contrast, research in a university setting was more about patiently accumulating tiny bits of knowledge and steadily optimizing our understanding of a particular topic or phenomenon. I jumped into this new career fast lane, and eventually found myself in a tech company that was immune to innovation, despite the flood of it happening all around us. The management team recognized the problem, with startups popping up everywhere in the then-new realm of what was called e-business (now just known as “business”). So desperate was the management team for innovation that they converted a conference room into the “Think E” room, filling it with “wacky” stuff to spark creative thinking—a ping-pong table for a conference table, bean bags, lava lamps. They made a huge deal about it; there was even an article in the newspaper (which was still a thing back then). The leaders were so proud. Of course, the “Think E” room didn’t spark any new innovations; if anything, it spawned cynicism because it revealed that the leadership really didn’t understand how innovation happens. And that not every company needs to be on the cutting edge of innovation to make important contributions to the technology landscape. Promising new technologies are born through innovation, but they become important and valuable through optimization. In common models of how innovations are diffused through a market, you can see the role of innovation vs. optimization: when new technologies emerge, they are severely limited, even if they contain the seed of a revolution. New tech is usually buggy, difficult to use, brittle, and may even be mostly useless. However, there is a small population of geeks out there who love being on the cutting edge, even if that means they’re putting the bleeding in bleeding edge. But, the folks at the bleeding edge are outliers relative to the broad population. The geeks at the front end of the diffusion curve account for less than five percent of any market, so it’s hard to build a large, sustainable business catering only to this miniscule segment. This isn’t to say that early adopters aren’t valuable. They are, because their feedback guides early refinement of the technology to make products easier and more reliable to use, as well as to prove use cases. This is how you move up the diffusion curve to bring mainstream users, and eventually laggards, onto the boat. This hard, but critical, journey creates value for both customers and investors. It’s what I call technology optimization. Most technology work is about optimization, not true innovation. And where product management is concerned, creating great products is mostly about continually optimizing technology to solve more real problems, both helping customers achieve their core missions and creating a better overall user experience. Excellence in this function defines a clear pathway to make technology better and more useful, so customers love using products and their lives are dramatically improved. So how do product management organizations embrace best practices in optimizing their technologies? At SolarWinds, we embrace these elements on a daily basis, and with much conviction, we aim to address the needs of one key stakeholder: our customer. 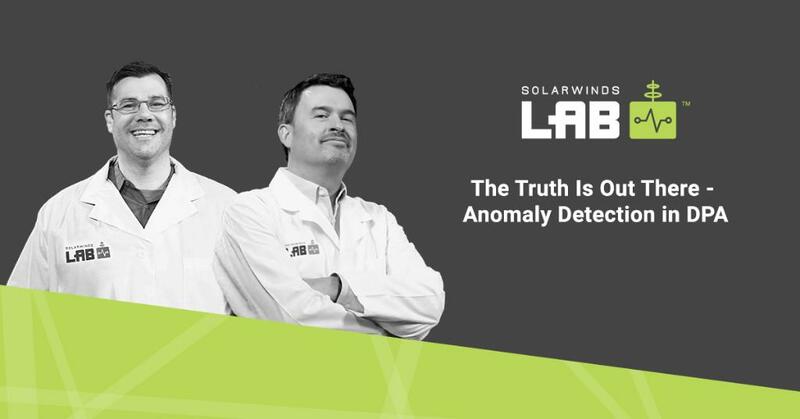 In the coming weeks, I plan to share a little more about how SolarWinds approaches product development and our commitment to those using our IT management tools. I look forward to connecting with some of you during THWACKcamp™, our virtual IT education event for community members.